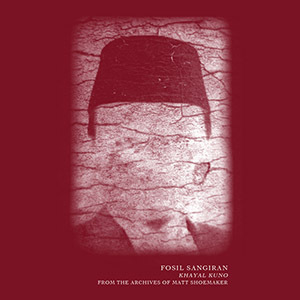 Brainwashed - Fosil Sangiran, "Khayal Kuno", "Pasar Fosil"
Fosil Sangiran, "Khayal Kuno", "Pasar Fosil"
Fosil Sangiran is a previously unused pseudonym for the late Matt Shoemaker, who passed away in August 2017. 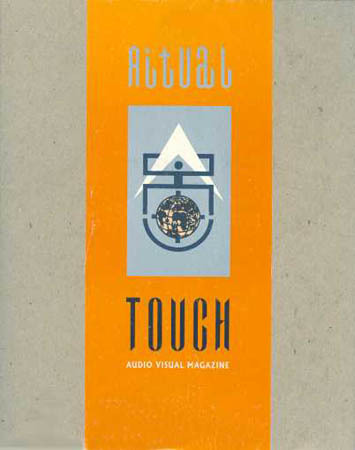 Although he had a lengthy body of work under his own name, these works were to be issued under a different name as to reflect the differing intent he took during these recordings. Both of these cassettes consist of material that was recorded between 2012 and 2013 during Shoemaker's time living in Java, Indonesia, which is evident in the music itself. There are parallels to be heard to the work under his own name, but both Pasar Fosil and Khayal Kuno have distinctly different qualities, both in comparison to his other work and even between one another, but both represent differing facets to an artist that left us far too soon. Shoemaker's work has always stretched the definitions of minimalism, a style that requires close attention and dedicated listening to fully appreciate, and that is the sensibility that resounds throughout these two tapes as well. The most obvious difference is the overall sensibility of the music, however. The oppressive heat of the jungle and the extensive history of Indonesia seep through, giving a humid, time-worn quality to the sound contained within. Of the two, Khayal Kuno features more rhythmic experimentation from Shoemaker. The beginning moments of "Khayan Kuno – Bagian Satu" might not make this immediately apparent though, with its high frequencies echoing through a heavy bank of spring reverb, alternating between commanding and extremely quiet passages. Eventually some slow synth-like layers are blended in, filtered into a captivating, almost rotting-like sound that captures the historical setting in which Shoemaker recorded the material. Eventually he adds in some appropriately jungle filed recordings and rhythms resembling water dripping in a silent cavern. On the flip side, "Khayan Kuno – Bagian Dua" is immediately more rhythmic, building from a far off rhythm that builds in volume and intensity throughout its first half. The rhythm is the focus with other elements taking the back seat. At around the halfway point, however, Shoemaker removes the beat, allowing what remains to expand in a more glacial, textural context. The sense of rhythm never disappears though, and the end reprises it via stripped down electronic pulsations and a nice bit of static accent. Pasar Fosil is, by comparison, the more ambient and spacious experience. While it is not fully devoid of rhythm, the focus is placed more on texture and tone. "Pasar Fosil – Bagian Satu" is the subtler of the two. An understated electronic expanse opens the piece, floating in a light ambient drift. The volume slowly builds and becomes a bit more commanding, but never becomes too harsh and retains its pleasantly looping haze throughout. "Pasar Fosil – Bagian Dua" is a bit more forceful overall, but remains more in the realm of spaciousness than rhythmic. Building from a low rumble, he introduces some echoing pulses of unspecific sound, rattling through a metallic space. Much of the piece stays subtle; resonating through hollow, wide open environments that allow them to shine. Towards the conclusion, Shoemaker introduces some more forceful electronic blasts that come through aggressively, and while the closing moments are lighter, he pushes things into more shrill territories to keep things from becoming too placid as the piece ends. 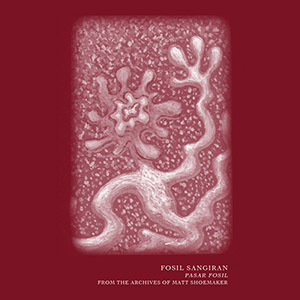 Matt Shoemaker's work as Fosil Sangiran fits in with his consistently powerful solo discography, but it features a nicely distinct sheen that reflects the environment in which it was recorded. The differences between the two tapes complement one another very well, showcasing two different styles that reflect Shoemaker’s tragically shortened career perfectly. They may be archival releases, but this is obviously a reverential treatment of the material, courtesy of the Helen Scarsdale Agency, and one that is a fitting piece of his legacy.